Waytseian is the official language of Waytseia on Sahar. Sample of Waytseian[view] Tare! &apos;Vímak! Some sound samples of Waytseian. Maximum of 6 shown. Click the links to see the full texts. [view] About RieticA group of [Sahar] languages mainly spoken in eastern Soltenna. [view] Þoskajekizi (Central)Standard dialect of Waytseian. [view] Ðisegizi (Coastal)Dialect of Waytseian spoken in the Gelög sea coastal regions. [view] Koregizi (Southern)Dialect of Waytseian spoken in the southern regions. 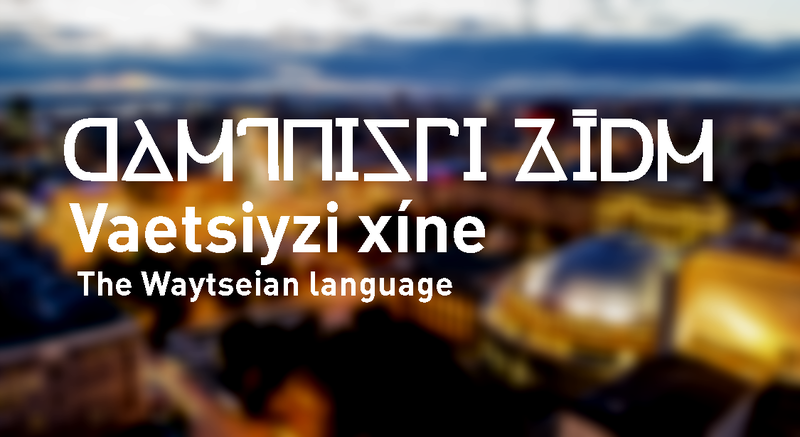 Below is the orthography for Waytseian. This includes all graphemes as defined in the language's phonology settings - excluding the non-distinct graphemes/polygraphs.